Hosting a teddy bears picnic or simply a girls tea party? This girls tea set is a perfect gift for under £10. 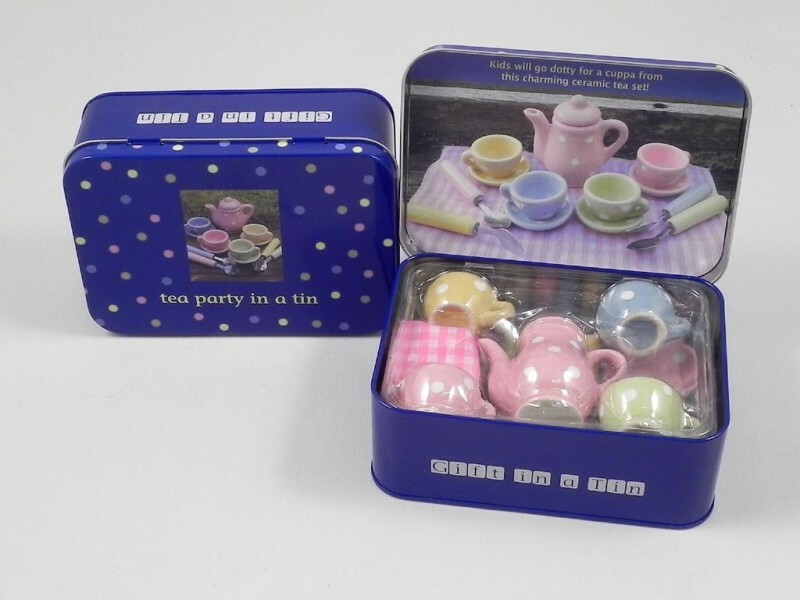 This 'Tea Party in a tin' comes complete with a ceramic teapot and 4 cup and saucers and it all packs neatly away in a handy portable tin.